Several megatrends such as accelerating urbanisation, technological change, demographic shifts, and climate change are reshaping our world. Cities are where these mega trends manifest themselves most clearly. To respond to disruptive developments, cities around the world, their governments and organisations must rethink the way they deliver their products and services. Public bodies and organisations of the future, including cities and local government entities, will need to espouse characteristics and behaviours that are radically different from the models of the past. 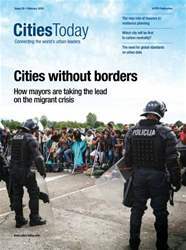 We have distinguished four interdependent–must-have characteristics–that leading public bodies, including cities, need to demonstrate in order to be effective in achieving outcomes and impact. These characteristic are agility, innovation, connectedness and transparency (see figure 1).